Designation: Assistant Professor, Rehabilitation Sciences, King Saud University, Saudi Arabia. Research Interest: 1. Assessment and treatment of babies, children and young people with movement difficulties (developmental disability) such as of children with cerebral palsy. 2. Early mobility in infants with and without disabilities. 3.	biomechanics and motor control aspects of human motion in pediatrics & Modern technologies in the rehabilitation of children 4.	the impact of Childhood overweight and obesity on functioning in children with and without disabilities 5.	measurements of muscular and functional performance in pediatric with neuromuscular disease 6.	fitness, Physical activity, sedentary behaviors and activity/participation restrictions in children with and without disabilities 7. Interrelationships between impairments, functional limitations and participation restrictions in pediatrics population. 8.	handwriting performance in children 9. Health-related quality of life. 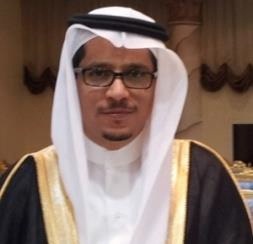 Biography: Dr. Adel Abdullah A Alhusaini is a Assistant Professor, Department of Rehabilitation Sciences, College of Applied Medical Sciences, King Saud University (Presently) and Chairman of the Committee on Graduate Studies and Research. Assessor for a number of master thesis for postgraduate students and scientific research in a number of research centers inside and outside the university, Member of Committee of examinations and interviews for the students of medical/health faculties for acceptance (University level). Membership in the number of committees and associations inside and outside the (department / college / university). 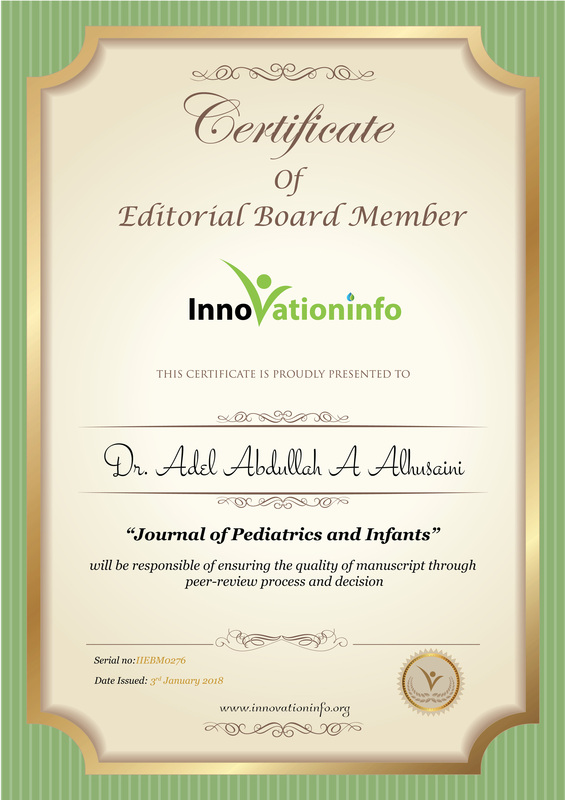 He is a Chair, Department of Medical Rehabilitation Department, King Abdul-Aziz University Hospital (Former) and Chair, Department of Dental Health, College of Applied Medical Sciences, King Saud University (Former), Members of the first Board of Directors – SPTA chairman of the Membership Committee (formerly). He has completed his BSc PT, M.Sc. at Cardiff University, PhD at University of Sydney. Alhusaini AA (2017) Physical Activity and Sedentary Behavior relative to Body Mass Index among School Children in Saudi Arabia. Pediatrics & Therapeutics. in press. Perumal Vaithiamanithi, Melam GR, Alhusaini AA, Buragadda S., Neha Sharma (2017) Instruction Prioritization in task based balance training for individuals with Idiopathic Parkinson’s disease. Journal: Somatosensory & Motor Research (ISMR. Volume 34, 2017 - Issue 1). Alhusaini AA, Melam GR, Buragadda S. (2016) Short-term Sensorimotor based intervention on handwriting performance in Elementary school children. Pediatr Int. Melam GR, Alhusaini AA, Perumal Vaithiamanithi, Buragadda S., Kaur Kirandeep (2016) Comparison of static and dynamic balance between football and basketball players with chronic ankle instability. Saudi Journal of Sports Medicine. Melam GR, Alhusaini AA, Buragadda S, Kaur T, Khan IA. Impact of brisk walking and aerobics in overweight women. J Phys Ther Sci. 2016;28(1): 293-297. Melam GR, Buragadda S, Alhusaini AA, Arora N. Effect of complete decongestive therapy and home program on health- related quality of life in post mastectomy lymphedema patients. BMC Womens Health. 2016; 16: 23. Buragadda S, Alhusaini AA, Melam GR, Arora N. (2015) Effect of complete decongestive therapy and a home program for patients with post mastectomy lymphedema. J Phys Ther Sci. Sep;27(9): 2743-8. Melam GR, Buragadda S, Alhusaini AA, Alghamdi MA, Alghamdi MS, Kaushal P. (2014) Effect of Different Positions on FVC and FEV1 Measurements of Asthmatic Patients. J Phys Ther Sci. Apr;26(4):591-3. doi: 10.1589/jpts.26.591. Epub 2014 Apr 23. Buragadda S, Melam GR, Alhusaini AA, Ibrahim A, Kachanathu S (2014) Gender Differences in Static and Dynamic Postural Stability Parameters in Community Dwelling Healthy Older Adults. Middle-East Journal of Scientific Research 22 (9): 1259-1264. Melam GR, Buragadda S, Alhusaini AA, Dhamija P (2014) Reaction and Movement Time in Down syndrome Children under Different Visual Feedback Conditions. Journal of Novel Physiotherapies 4(4): 1000222. Ibrahim, A. I., Alhusaini, A. A., Hegazy, F. A. & Hawamdeh, Z. M. 2013. Effectiveness Of Foot Wedge And Carrying Weighted Bag On Loading The Paretic Lower Limb In Children With Hemiparetic Cerebral Palsy. Neurorehabilitation, 32, 563-71. Ibrahim, A. I., Muaidi, Q. I., Abdelsalam, M. S., Hawamdeh, Z. M. & Alhusaini, A. A. 2013. Association Of Postural Balance And Isometric Muscle Strength In Early- And Middle-School-Age Boys. J Manipulative Physiol Ther. 36(9): 633-43. Crosbie, J., Alhusaini, A. A., Dean, C. M. & Shepherd, R. B. 2012. Plantarflexor Muscle And Spatiotemporal Gait Characteristics Of Children With Hemiplegic Cerebral Palsy: An Observational Study. Dev Neurorehabil, 15, 114-8. Alhusaini, A. A., Crosbie, J., Shepherd, R. B., Dean, C. M. & Scheinberg, A. 2010a. Mechanical Properties Of The Plantarflexor Musculotendinous Unit During Passive Dorsiflexion In Children With Cerebral Palsy Compared With Typically Developing Children. Dev Med Child Neurol, 52, E101-6. Alhusaini, A. A., Dean, C. M., Crosbie, J., Shepherd, R. B. & Lewis, J. 2010b. Evaluation Of Spasticity In Children With Cerebral Palsy Using Ashworth And Tardieu Scales Compared With Laboratory Measures. J Child Neurol, 25, 1242-7. Alhusaini, A. A., Crosbie, J., Shepherd, R. B., Dean, C. M. & Scheinberg, A. 2011. No Change In Calf Muscle Passive Stiffness After Botulinum Toxin Injection In Children With Cerebral Palsy. Dev Med Child Neurol, 53, 553-8.